Piyush Goyal is likely to present the interim budget on February 1 as he was earlier given the additional charge of the finance ministry due to unavailability of Arun Jaitley who is in the United States for medical treatment. The Ministry of Finance on Wednesday denied reports that the Narendra Modi-led NDA government at the Centre could break tradition by presenting a full-fledged budget on February 1. In a clarification on the matter, the ministry said it will be just an interim budget, reported news agency ANI. It was earlier reported that the Modi government is set to break tradition and present full budget instead of interim one to take political mileage out of it ahead of Lok Sabha 2019 elections. 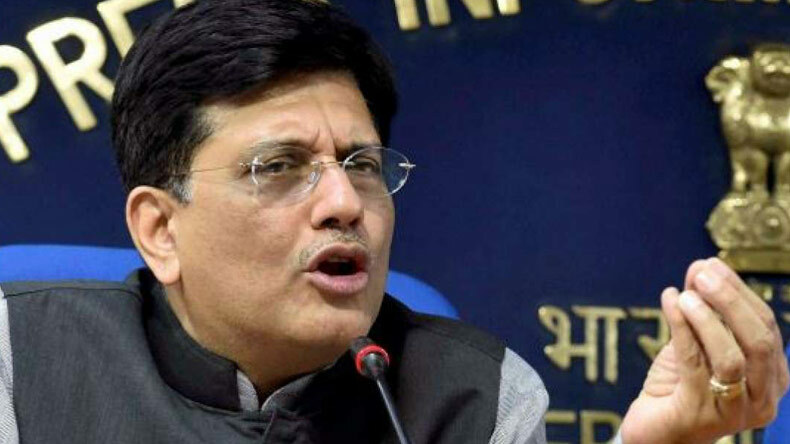 Piyush Goyal is likely to present the interim budget on February 1 as he was earlier given the additional charge of the finance ministry due to unavailability of Arun Jaitley who is in the United States for medical treatment. The announcement comes after Congress leader Anand Sharma said Modi’s government’s decision to present a full budget was a violation of parliamentary conventions. Interim budget is also known as vote-on-account which is only for three months before the new government presents a full-fledged budget in July. With just months left for Lok Sabha 2019 elections, there has been much speculation that the Modi government may announce populist measures on February 1 to woo the less-off section of the country. The announcement of Universal Basic Income (UBI) is also on the cards, especially after Congress president said his party will launch a scheme that will provide guaranteed income to the people of the country if it is voted to power in forthcoming parliamentary elections.